The Activity page is a real-time feed of your team's activity inside and outside of Status Hero. It shows you when teammates check in, comment, react, and includes any activity from integrations like GitHub, Jira, Trello, and others. 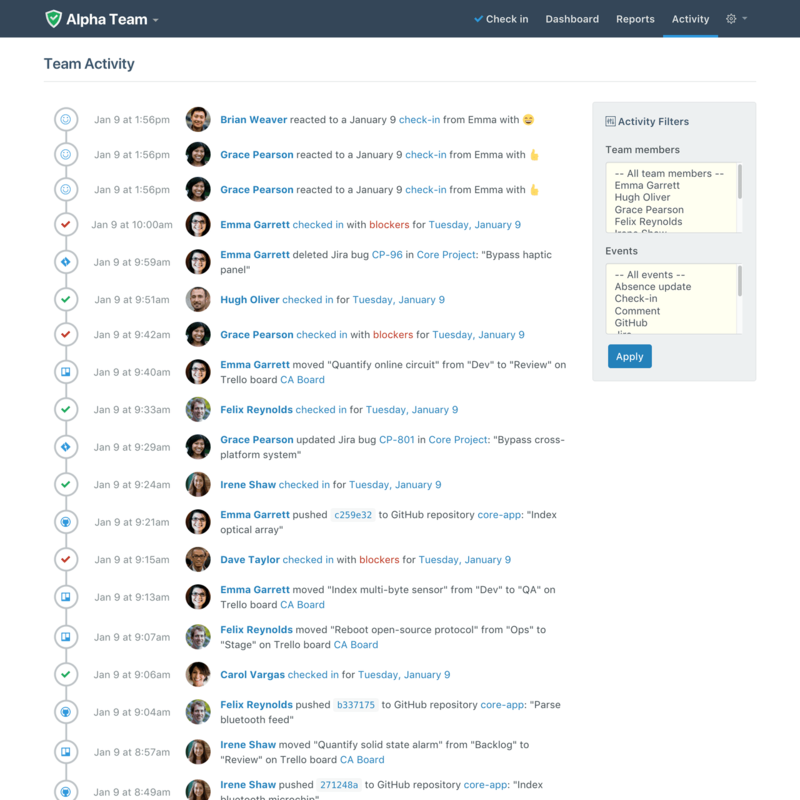 You can filter by team member or event type, making it easy to find what you're looking for and get a read on what's going on with your team in real-time.